This post is a mix of remembering stars who died during 2012 and an addition to the Comet Over Hollywood mini-series, “Classics in the Carolinas”-which highlights classics movie related topics in North Carolina and South Carolina. 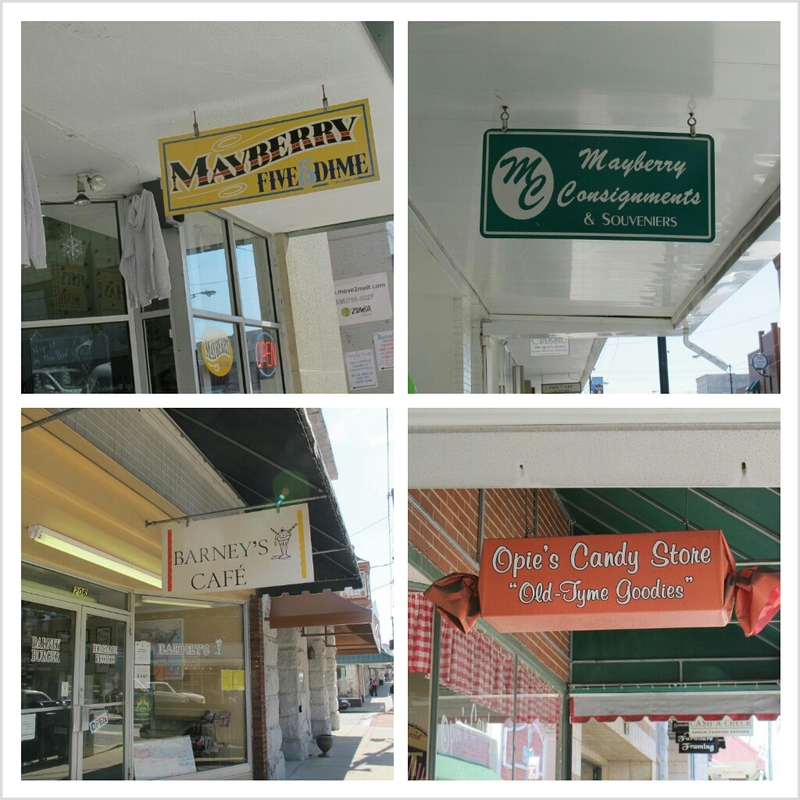 Opie’s Candy Store, Mayberry Embroidery, Floyd’s City Barber Shop, Barney’s Restaurant. These are stores you would see as you walked in downtown Mount Airy, North Carolina while the “Andy Griffith Show” theme song echos from many of the stores. Squad car tours are given around the town and there is even an Andy Griffith Bypass and Andy Griffith Mall. Every September the Mayberry Days festival brings fans from all over the world to the small town to celebrate the show with barbecue, musical performances and golf tournaments. The quaint Surry County, North Carolina town was home to television icon Andy Griffith and was the model for the fictional television town of Mayberry. Working in Elkin, NC, I lived 30 minutes away from Mount Airy, and while fans all over the world mourned the death of Griffith on July 3, 2012, I knew his death would be an even bigger deal in Surry County. Andy Griffith is the main tourism draw in Mount Airy. In September 2011, the Mayberry Days festival brought in 70,000 visitors, I learned while writing an article at the Tribune for the 2011-2012 Surry County Directory. 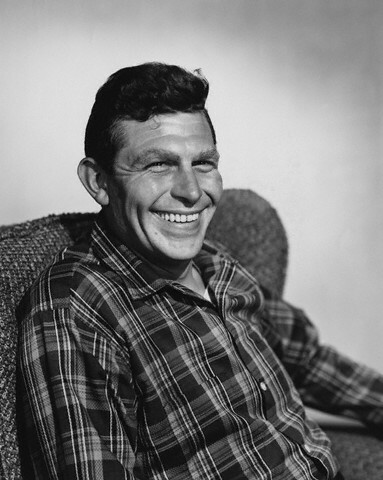 Andy Griffith in the 1960s. Griffith was born in Mount Airy in 1926 and graduated from Mount Airy High School 1944. He was popular in high school and took trombone lessons from a local reverend, remembered Mount Airy News lifestyles editor, Eleanor Powell. After graduation, Griffith attended the University of North Carolina in Chapel Hill- also the alma mater of Kay Kyser– with hopes to become a Moravian minister. However he changed his major to music, according to a UNC article by Patrick Winn. Griffith was homesick when he first went to UNC but ended up becoming popular, acting in several Playmaker’s performances such as “The Mikado,” and joining Phi Mu Alpha music fraternity. At Chapel Hill, Griffith met his first wife Barbara Edwards, married from 1949 to 1971. After graduating in 1949, Griffith taught high school music in Goldsboro, NC. Griffith worked his way up in the business while performing in plays and comedic radio monologues. He made his breakthrough performance in Hollywood with the 1957 film “A Face in the Crowd” and his television show “Andy Griffith Show” in 1960. “The Andy Griffith Show” was said to be based on Griffith’s memories of growing up in Mount Airy, which he has both confirmed and denied throughout he years. The television show mentions nearby “Mount Pilot”-which in reality it Pilot Mountain– and that Mayberry is north of Winston-Salem, which is all true for Mount Airy. I remember sitting at my computer at the Elkin Tribune and seeing the news pop up about Griffith’s deaths. All I could think was “Uh oh,” as I called my editor to tell him our front page stories would be different for the next day’s paper. The Elkin Tribune’s sister paper was the Mount Airy News, where our newspaper was laid out and printed. I remember talking to one of the paginaters and asking how she felt about Griffith’s death and how people in the town were reacting. It seemed a huge thunder storm that came through town was a bigger deal to most of the citizens. Regardless of the bitterness of locals, Griffith has brought millions of tourism dollars to the town. “Tourism has really saved us, Andy is the hook. He is the reason people come to Mount Airy,” Tanya Jones, executive director of the Surry Arts Council, told CNN. Visitors from Spain, Germany, Peru, India, the United Kingdom, Guatemala and Canada have all traveled to take part in the Mayberry atmosphere. 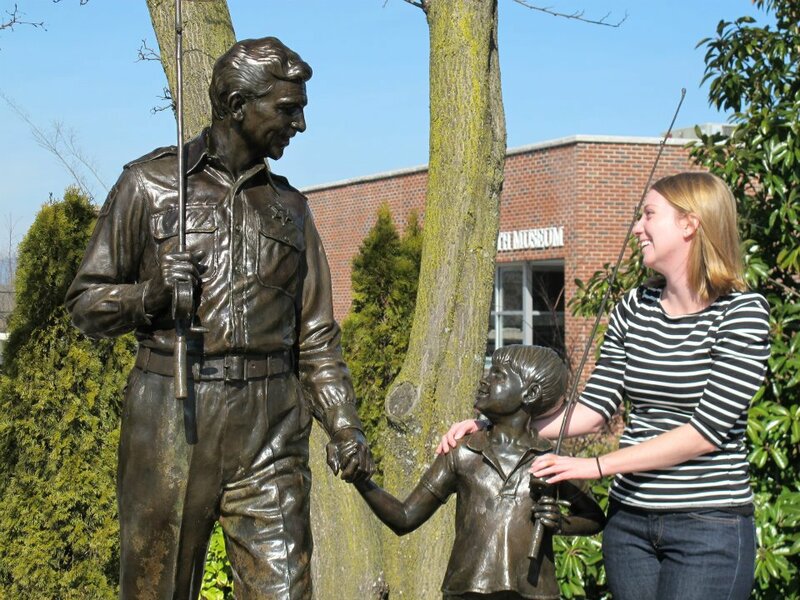 February 2012 during one of my visits to Mount Airy with the Andy Griffith statue. This entry was posted in Classics in the Carolinas, Star Deaths and tagged 2012 deaths, Andy Griffith, andy griffith show, Mount Airy, North Carolina by Jnpickens. Bookmark the permalink. That’s cool! Where are you from, Ashley? This was a very entertaining post for me since I used to drive through Mount Airy en route to my hometown Winston-Salem. I have fond memories of Pilot Mountain, too. I had no idea your hometown was Winston! I love the Yadkin Valley, wonderful place. When is the last time you were there? Andy Griffith-land is pretty fun. Those cowboy museums sound awesome! I would love to visit one. We don’t have many actors from the southeast, though there is the Ava Gardner museum about 6 hours away I still need to visit.